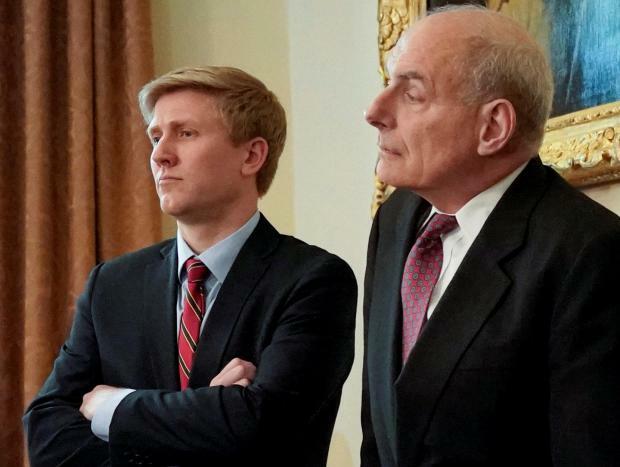 Nick Ayers, Donald Trump's top choice to be his next chief of staff, is no longer in the running and the US president is now considering at least two other candidates, sources familiar with the matter said in the latest sign of a chaotic White House staff shake-up. Ayers tweeted that he would instead be leaving the White House soon, apparently to return to his home state of Georgia. One of the sources said Ayers would return to "America First Policies," a combative group that he helped found before joining Pence in the White House. "I am in the process of interviewing some really great people for the position of White House Chief of Staff. Fake News has been saying with certainty it was Nick Ayers, a spectacular person who will always be with our #MAGA agenda," Trump said in a message on Twitter, referring to his slogan "Make America Great Again." "I will be making a decision soon!" Ayers wrote earlier on Twitter: "I will be departing at the end of the year but will work with the #MAGA team to advance the cause." Trump will decide on his new chief of staff by the end of the year, the sources said. The president said on Saturday that Kelly would leave the post by year's end. The constant staff upheaval at all levels has left Trump's White House grappling to try to advance his policies. Many of the resignations have come under pressure. Trump now faces House probes into his businesses and most contentious policies, and Special Counsel Robert Mueller is investigating possible collusion between Trump's election campaign team and Russian officials in 2016. Trump, who has denied collusion, calls the probe a "witch hunt." Ayers has advised a series of Republican governors and as Pence's chief of staff, has run one of the most effective political teams in Washington.